Gum disease may begin as a painless condition, but in its advanced stages, this problem can lead to considerable discomfort and heartache. Tooth loss is a common consequence of unchecked gum disease, an outcome that only implant dentistry may rectify. To protect yourself from loose teeth or missing teeth, seek professional help as soon as you notice the initial signs of gum disease. The sooner that your dentist serving Hazlet can address this condition, the better off your teeth and gums will be. Gum disease begins when plaque has the chance to collect on tooth enamel. Plaque forms when the bacteria in your mouth combine with food particles. This mixture becomes a sticky acidic substance that can build and harden on teeth. Should enough plaque accumulate on your teeth, it can cause gum inflammation. While you may not feel pain, you can often see the warning signs of gingivitis, the first stage of gum disease. If your gums look red or they bleed, consult a dentist. Also, keep up with your teeth cleanings. During these appointments, your dentist can remove hardened plaque. If your dentist doesn’t have the opportunity to remove plaque from your teeth, you might advance to the next stage of gum disease: periodontitis. At this point, your gums may begin to recede from your original gumline. As your gums deteriorate, the opportunity for plaque accumulation grows. Unlike gingivitis, which a dentist can reverse with early treatment, periodontitis produces permanent dental damage. As gum inflammation progresses, the bacteria that destroy gum tissues can also impact the bone into which teeth are rooted. Should this happen, your teeth may begin to shift in their sockets. Without a stable foundation, they can also fall out. Once gum disease develops into advanced periodontitis, the risk of tooth loss is high. Because bone and gum tissue typically cannot regenerate, your dentist may need to perform extractions if you have loose teeth. 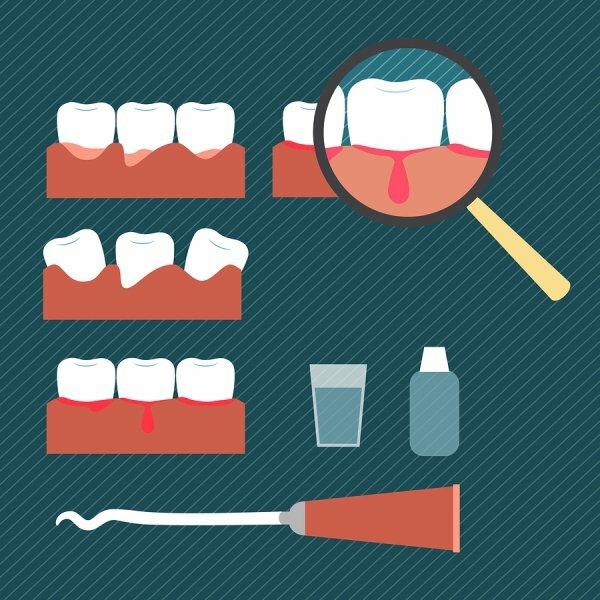 So before your occasionally bleeding gums evolve into dangerously loose teeth, make sure that you adhere to a consistent oral hygiene routine and undergo regular dental exams. Glenwood Premier Dental offers effective gum disease solutions for our Hazlet patients. Call (732) 264-4477 to learn more about our laser dentistry services. Our dentist Mark Wassef DMD can help you maintain a healthy and full smile.